I realize with the holiday season approaching many of us need to earn a little extra income, but taking an extra job might be out of the question due to health and transportation issues. So…. I compiled some quick, easy ideas I have found to be beneficial in our home. Sign up for rewards on products you buy regularly. 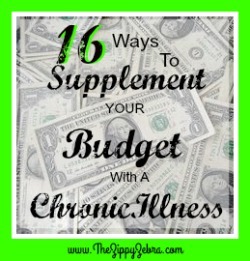 This can result in FREE items, coupons and gift cards to supplement the budget you already have. These are the product reward programs I currently belong to. Points can be redeemed for coupons, music, gift cards, memorabilia, free photos, magazine subscriptions and tons of other great items. You simply enter the code off each box of cereal, snack or other “Kelloggs item” and receive 50-250 points per code. You can also receive bonus points in emails and on-line updates several times a month. This means even if you do not eat Kelloggs items regularly, you can still rack up points. The same points will often double to give you free books (these are great for gifts and you pay NO S & H), free movie tickets, free toys and free movie downloads. UPDATE: Kelloggs is fazing out the reward codes and offering the chance for you to link your store rewards card and scan your receipts instead. Kelloggs also offers codes for completely free (you do pay shipping) Shutterfly products like prints, photo books, canvas prints, etc… and other great deals to your email. I think THIS is my favorite program because I redeem my points on coupons and then use those coupons to purchase more cereal (with a sale match-up) for $.50 a box. I then use that code in the program again. Very often earning a free book or movie ticket at the same time. Points are found on bags of Purina Cat Chow and can be earned by watching videos, during surveys and sharing on social medias. Points are redeemed for coupons, free bags of food, fun pet items and clothing. Redeem codes from coke lids and boxes for gift cards, memorabilia, magazine subscriptions, coke products and other great stuff. Both offer great a rewards program with points being earned on wipes and diaper purchases and random bonus points offered on-line. There are hundreds more rewards programs available on-line. Next time you are down and out, take the time to look up your favorite products, stores and brands to see what you can earn or save. Additional ways to save on items you already buy using online programs that will earn you gift cards, discounts and more, helping supplement the budget you already have in place. Is an on-line coupon program that can be used at home in addition to digital or paper coupons you have used in the store. You simply take a photo of the receipt with the qualifying item(s) purchased and upload it to your computer. The savings are then added to an account until a minimum balance is reached and can be cashed in. I enjoy this program because it even works with Aldis and other discount stores, in addition to items you have gotten on sale and with coupons in the superstores. It often does not require a specific name brand either. It can be used on generic milk, eggs, bread, fruits, veggies, etc… or name brand, depending on the requirements that week. The list of redeemable items for the week changes each Wednesday and receipts must be purchased and scanned in during a specific weekly time frame. Is an app for your phone. It is a store/product specific “cashback” program that is used by scanning your receipt (with your phone) after purchase and completing a couple of tasks (sharing, commenting, etc…). I enjoy it because it can be used in addition to in-store coupons. They also offer “cashback” at specific restaurants and movie theaters. The “cashback” is added to an account until a minimum balance ($5.00) is reached, and then can be transferred to your chosen account. I am just beginning to use this program, but I know several of my friends (non-couponers) who love using it for its simplicity. No paper coupons, no searching ads, no running from store to store for the best deal. Click here to learn the details. Of course the price-match does not apply to percent-off sales or going-out-of business sales, but it is a great way to save when you dont have the spoons to ad-match on your own. They offer three ways to turn in your receipt and contact you within 72 with the items you save on. The money is then credited to a Walmart E-gift card. These are great!!! We use them as a way to supplement our “extras” budget. I have used this program for just over a year and it is so simple. I earned the most the first month. After completing the initial surveys, questions, daily activities and watching videos I earned $20 or more and purchased some replacement mixer parts I had been wanting, hubby warped ours. I answer the daily poll, use the search bar for online searches (I have not installed the tool bar), complete the NOSOs, as well as print coupons (earning points upon redemption). It is a great way to earn points easily and without any financial investment. We generally exchange ours for Amazon or Wal-Mart Gift Cards. 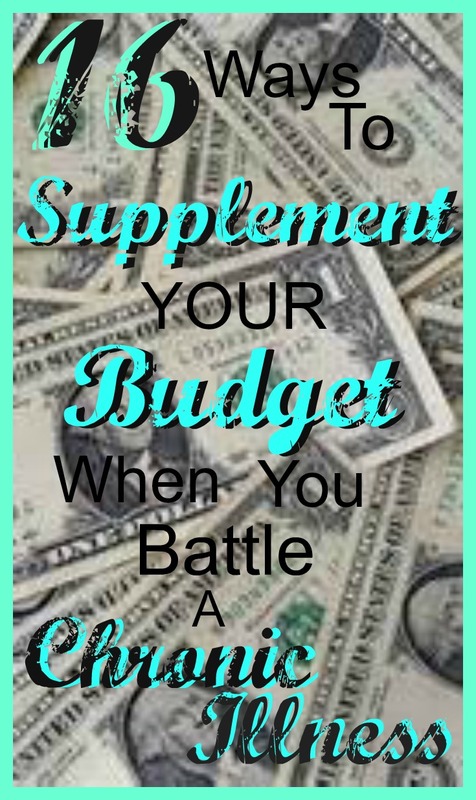 For more opinions and user comments check out Money Saving Mom’s post here. She has written a detail posted series that explains how to use Swagbucks amazingly well, and for more details and honest testimonials be sure to read the comments on the entire series. I recommend this program for anyone who needs to earn any extra cash- no matter how great or small the amount. Every little bit helps. Offers points for watching videos, recycling in your area, answering questions and making pledges. It offers great ideas on recycling, points add up quickly and new methods of earning are added regularly. Points can be redeemed for digital and paper magazine subscriptions, food discounts, gift cards, coupons, free products and lots more. Head over to recyclebank.com to check it out and begin earning points today. Is a program I began and have not pursued due to life getting in the way. However, it offers several opportunities for earning coins by taking surveys, watching videos, and numerous other tasks. Coins can be redeemed for gift cards, bitcoins or Paypal cash. How can free items not be a good thing? If you already use their product anyway. I LOVE using Shutterfly and Walgreen’s to supplement our photo and gift budget. Free prints with sign-up (you do pay shipping) and various offers throughout the year. If you are already a member of kelloggsfamilyrewards you can earn several great FREE items in conjunction with Shutterfly, without using up your Kelloggs rewards points. Even if you do not print a lot of photos it is still a great website to join. However, I suggest joining at a time you need to print photos in order to receive the best deal. You automatically earn free prints upon joining, but the offer expires quickly. Often offers free 8 x 10 photos or collage prints, free mini albums (you pay shipping) and other free photo deals. Simply sign up for their reward card and to receive emails. Text and email program. Each week a new offer is sent to your phone and coupon/ad matches are sent to your email. The texts are very often for free, buy one get one free or ten cent items. Recently the ten cent items have been cans of soup or other staples. Every Friday Kroger offers a digital coupon for one free item in their stores. These items range in value from a candy bar to an entire box of ice cream treats. You simply load the coupon on to your Kroger Rewards card and redeem it in the next 2-3 weeks by choosing the item and scanning your card at check out. They also offer paper coupons through the mail. Every quarter these mailings contain coupons for FREE items, including name brand deodorant, cookies, and other fun stuff. For more on ways to save and capitalize on FREE items click here. Offers a program called Mperks. Digital coupons from $5 off a $5 or more purchase to larger discounts on accumulated purchases in a month. They also offer digital coupons. All you need is to signup on-line and use your M-perks phone number and password at checkout. 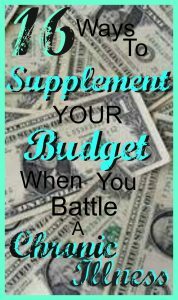 For more great budget supplementing ideas checkout these great links where I share how we supplement our budget with a regular income of between $50 and $100 each month for very little effort. I share specific numbers and links that work for us. We also suggest longer term income ideas here. If you have any ideas or suggestions to share please feel free to do so in the comment section. We love hearing from our readers and sharing ideas with others. Check out next week’s post here. It offers quick ways to earn an income from home, especially during the holiday season, but you might have to leave your PJs. For more great saving and earning ideas follow us on Pinterest and Facebook.